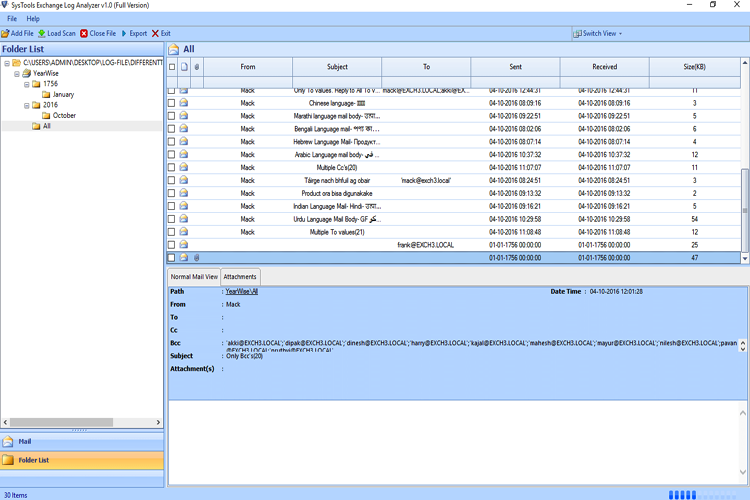 Exchange Log Analyzer helps to maintain the file structure of log files intact. You can select "Yes" or "No" as per your requirement. If you enable the option to maintain the folder structure, Exchange log Viewer will save resultant files with the same folder structure as that of your exchange log file. 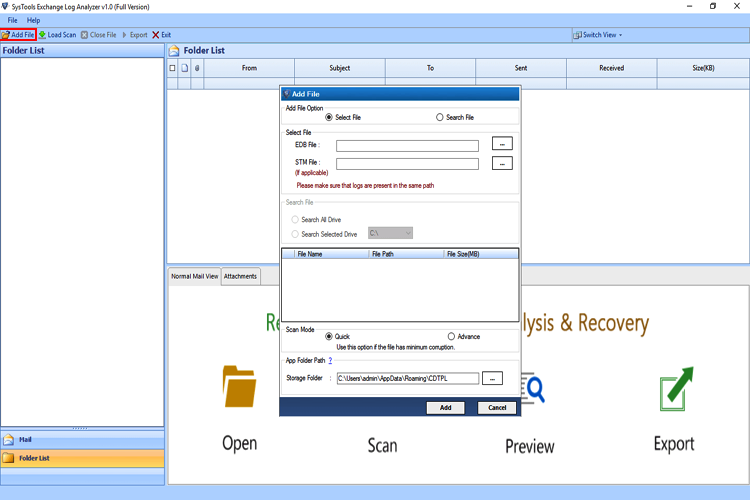 Exchange Log Analyzer software has two different modes to scan log file i.e. Quick & Advance Modes. 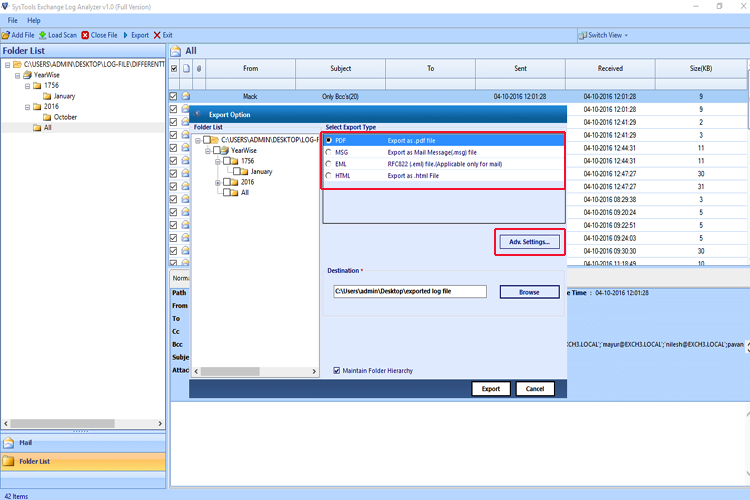 You can easily scan normal or consistent log file using the Quick mode but you have to apply Advance mode to scan corrupted or inconsistent exchange log files. Exchange Server: 2003 & 2007. Is the software capable enough to recover deleted from transaction log file? 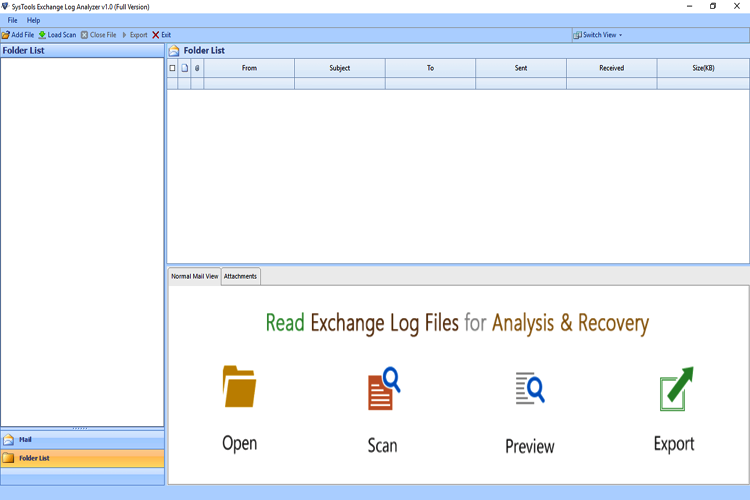 Yes,You can definitely recover your hard or permanent deleted emails using the Exchange log viewer from the exchange log file. Is Exchange Live Environment needed to analyze & export exchange log file? No, Exchange Analyzer does not require any live exchange environment to preview and inspect the transaction log file of exchange server. You can only convert 25 files per folder using demo version of OLK Converter Software. I can't believe that I successfully recovered my exchange mailboxes data from Exchange log files.This happened only because of Exchange Log Analyzer. It brilliantly analyzes corrupted log files and provides me with the option to export it to different file formats such as PDF, EML, MSG & HTML while maintaining folder hierarchy. By mistake, the Exchange EDB files get deleted and I do not have any backup of it. 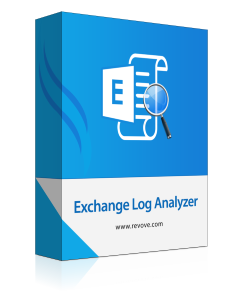 Then while searching on Internet I came to know about Exchange Log Analyzer. I installed it on my windows operating system and Log analyzer instantly recovered the EDB file from log files and I got my EDB files back in the original state. Thank you very much for developing the team for such out of box innovated tool.